Your weight. Your income. How much your house cost…and what you pay your babysitter. The untouchable questions and conversations we all avoid, right? …and I've been dreading it. I touched on the babysitting issue once before years ago, and just about got a public flogging for it. But since A) what doesn't kill you makes you stronger, and B) I'm a glutton for punishment apparently, I'm here to give you an updated full-fledged, unapologetic, please-don't-thrash-me-its-a-free-country opinion on the matter. Note: there is a HUGE difference between a “babysitter” and a “nanny”. I cover this in depth in the video, so keep watching! I babysat from age 11 – 18, was a nanny, mother's helper, and now have 4 kids of my own and use babysitters weekly. So my opinions are based on experience, research, and trial/error. All I ask is that in the comments you respect other people's opinions and pay-scales, understanding that different parts of the country have very different costs of living, and that we all have a different way of doing things. I failed to talk enough about rounding up or giving bonuses in the video. I do both quite a bit. If the house is clean when I come home, if they get themselves to my house, if the babysitter comes with toys and activities, I always pay extra. The $2/hr per kid is simply a base, with room for bonuses on top. Same with Nannies. My babysitters and nannies also get pay increases over time, the longer they work for us. I have a 14 year old who comes over after school once in a while to help. Even though I'm home, I pay her $6.50/hr (and round up when writing her check) to watch my 3 older kids because she is actively doing activities, going on walks, and helping them. So it really just depends on the situation, but I use the $2 rule as my starting point. In terms of us fitting babysitting into our budget, we just make it work. Going out without kids is VERY important in any relationship, so we have made it a priority and cut wherever needed to ensure we get at least 1 date per weekend! The reason we use the young babysitters we do, and pay what we do, is because that's how we can afford keeping our marriage strong by going on regular dates. If we had to pay $10/hr for babysitting we could never afford to go out! I'm a HUGE believer in paying well when someone is deserving. I am probably the best tipper you'll ever meet. So I'm certainly not suggesting you skimp, or take advantage of a babysitter. I'm just suggesting that you pay based on the nature of the work, and based on their experience. Hopefully my methods and insight can help you figure out what works best for you and your family! My ultimate goal with this video is to encourage you to get the conversation started in YOUR area of the woods. Ask your friends! Neighbors! Coworkers! Find what they pay and it will help you feel more comfortable with your own pay-scale. Just for the record, we use babysitters almost every weekend and I've never had trouble getting OR keeping them. I make sure they have food, snacks, I let them bring friends with them when it's on the weekend and the kids are asleep most of the time, we give them small gifts for Christmas, respect their time…we try to treat them well and pay them fairly and they come back again and again. No problems here! So, that's my take on the whole thing! Now…the question we should all be asking each other…what do YOU pay your babysitter, and why? In Australia, to get a babysitter we would be looking at minimum $10 an hour. To compare, in 2006 when I had not long finished school myself (I’m pretty sure we are the same age) I was earning $21 an hour here. Because the cost of living is higher and pay rates are much higher generally it makes it very expensive to go out. Thankfully we have family around that can help out occasionally. Im at stay at home mom so I’d not pay for a sitter. We rarely get to go out but if we usually one of the grandmas babysit or his big sister. So grandmas free, sissy is fine with a friend and food. When I babysit my friends so its 20 dollars a day, but she brings him and picks him up, and packs his food and supplies, and I dont have to leave my house. And I can pick when I want him because I only get him when we need extra money. Its not so bad if I take him for several days or all week. Its 2.85 and hour for one child. I love that you are addressing this. And thank you for being up the difference of a babysitter and a nanny. I have been babysitting since I was 8 (scary I know! But for whatever reason they trusted me by myself with newborn babies) I babysat all the way until junior year of high school when I started nannying. I always got paid at least $5 an hour but up to $12 which I will admit was usually way more than the work I was doing. However, now I am a professional nanny. 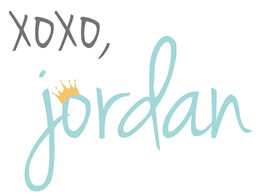 I have over 13 years of experience with children and 4 years being a personal assistant/household manager. Over a year ago when I was looking for a job people were offended when I told them I couldn’t afford to work for them. I said it in the nicest of ways but my husband is in school full time and I pay all the bills. %90 of the families offered less than $10 50% less than $5!! And they still expected cleaning, laundry, carpooling, shopping, and cooking. I know not everyone can afford it but it is insulting as a nanny with that much experience to be offered $3-$7 an hour and be expected to do all the household chores while watching 4+ kids all day. I do think it’s important to pay based on experience and the responsibilities required. I do get paid over $20 an hour now, but I work for that. They have given me raises because they value my work and want me to stay, and that makes me fee appreciated. I still will babysit on the side for families I used to work for for a lot less and I don’t make them pay me more because I don’t do as much work and I know money is tighter. Just be fair 🙂 thanks! 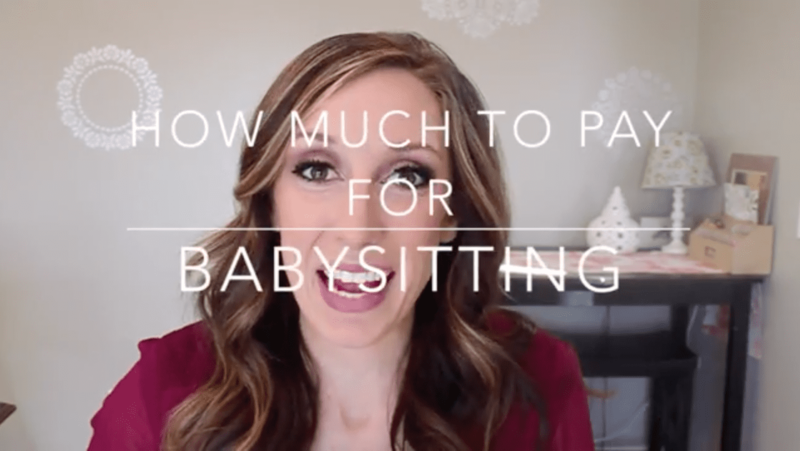 LOVE this video and I could not agree with you more that the price of baby sitting has gotten quite out of hand as of late! We are also expecting our 4th and our kids are all 5 and under and right now, we pay between $10-12 per hour for our sitter. We live in New England and for this area, that’s actually on the lower side for a sitter (but the most we can afford/are willing to pay). Thanks for sharing your thoughts and tips. I wish this topic weren’t so taboo! so now being a mother of a babysitting daughter I have a strong opinion on this. My daughter took the class, I spent one year “teaching” her how. We called people up and offered to watch their kids for free, and this is when I taught her. I taught her that 1. Children 2. CLEAN UP no mother wants to come home to disaster. With that said I am also teaching my children how to work, how to be paid and it kills me when she goes babysitting at 630. Puts the kids to bed at 730-8 depending on parent and she is earning more than Minium wage. I beg those she sits for to help me in teaching her how to work. Sitting on a couch for 4 more hours is not hard, and let’s be honest most don’t clean. I believe it is the parents of children needing to be sat that have caused this feeling that a girl won’t do it unless you pay her a lot. My daughter and her friends have no idea how much they made. Now their are other times that yes, she should get more, all day, kids are up the entire time, you know you have a difficult child. My daughter when asked says she charges 2.00 for first 1.00 after that and she caps at 5.00 an hour unless you have 7 children. So for some of us moms who children are the babysitter I know I don’t speak alone when we say, please don’t over pay them. Please don’t teach her that sitting on her bottom eating your food and watching tv is worth more than Minium wage, or even close to it. Social media is so rough for young children moms. U see things and worry so much. You might go through babysitters, but you will find the one, who loves it. Who will take what you can give knowing that her parents once were you. They taught her that they scraped all their pennies together. So let’s help each other. I’ll teach my daughter how to take care of your little ones, if you teach her that 5.00 an hour sitting on her bottom is a gold mine, and that by calling her back tells her she is great at her job. I totally agree with you Katie! I have 4 young kids and we don’t go out on dates much, but when we do, I pay $2/hr per child. And take it or leave it, I think that is fair for the 3 hours we’re gone especially when no bedtime or dinnertime is involved. I babysat a lot myself as a teen, and any money was good money when you’re young. And I worked hard for every dollar I made babysitting. Good for you for teaching your daughter the value of hard work. I am now the mom of a babysitter. My daughter took the class, I spent a year teaching her to babysit by calling different families with different age children to see if we could watch them for free and I would go with her. I have had the wonderful to awful. Now in this stage I have a strong opinion about this. I believe that social media makes being a mom of young children hard. I find from friends who need sitters and others when we talk, that it is the families who feel like the girl won’t come back if you pay less than so and do. I will speak for my daughter and some others I asked when people kept asking my daughter what she charged. THEY DONT KNIW WHAT YOU PAY. My daughter has no idea, she takes your money and puts it in her pocket. We are teaching our kids the value of work and money so I ask you to please help us teach her. Babysitting for her is 1. Child 2. Clean up. When she goes and the kids are in bed by 8 and she than sits there until midnight and she is paid more than minimum wage, it is not teaching her the right message. I do believe circumstance matters, but honestly she is normally with the kids for an hour or two tops. She set it at 2.00 an hour first child 1.00 each after cap at 5.00. She knows from us talking and stuff that it is hard for families to go out. So let’s help each other, I’ll teach her to be an awesome babysitter which the fact she is gone doing it all the time, with her awesome games and treats for kids, and you will help teach the importance of work, and a babysitter who is watching tv for the most part should not make minimum wage. I have to admit that I don’t understand why anyone gets upset about this issue. It’s just one of those tough things you have to negotiate in life. I start by asking a sitter what their hourly rate is. If they have an answer, I just go with that number multiplied by the number of hours we were gone. If they have a flat rate (like our regular sitter does), I plan to pay it and stay out as late/as long as we want to. I leave a pizza and snacks and drinks, let my oldest daughter pick out a red box or rent a movie for them to watch, and leave a detailed note. I tell my oldest what I expect in terms of the house looking nice when we come home – toys picked up, dishes washed, etc – and enlist the sitter’s help in making sure my daughter gets her chores done (the youngest is a toddler). I also have my phone available all the time. I’ve just never had a problem paying, keeping or working out the details with a sitter. And we have typical crazy kids and three big dogs that all aim to be high maintenance, all the time. It’s life, people. Work it out, enjoy the time away, and treat everyone with respect. As a final note – if you feel like a sitter rips you off in any way – charges too much, leaves the house a wreck, doesn’t put the kids to bed on time – handle it gracefully. Pay them, thank them, but don’t call them again. There are plenty of fish in the sea. As an adult I think it’s best for me to bring up the topic of pay right away with the babysitter. It’s hard for a young babysitter to bring this up since there is an obvious power differential. I think it’s best to ask the babysitter what they charge. It gives them experience negotiating or asserting themselves and it gives you a chance to discuss the price. You can lead the conversation with “generally I pay about $6/hour, is that around what you charge?”and see what she says. If she charges more then I think it’s appropriate to say “okay, let me talk it over with my husband and I’ll call you if we’re able to do that.” If you can’t, then you don’t need to call her back. I would also bring this up before you tell her the date you would like her to babysit so she doesn’t feel backed into a corner. I get uncomfortable when people talk about it as an employee/employer relationship where you need to set expectations because it’s so much more personal when they’re caring for your children when you aren’t there. When I was babysitting, I was insulted when parents told me to do the dishes because I was so conscientious! I would always clean up! I think it’s unreasonable to request that the babysitter do things aside from clean up the dishes from the meals the kids ate while they were there and make sure the kids put the toys away unless they’re a nanny and you talk about them being the regular nanny from the beginning. Even though this is not a career and they aren’t paying taxes on the money they’re earning, starting within a dollar of minimum wage is what I think is reasonable. So in Utah, that would be around $6 for one child and about a dollar more per child. Then more if they drive themselves, have more experience etc. I dislike the argument that because they’re young and can’t have another job, paying them less is reasonable. Their time is valuable (especially since my babysitter is a good student and has a lot of activities and families to babysit for). I guess I want to demonstrate that I understand the value of her time and that this is (obviously) really important to me. I suppose I am one of those people who thinks that if you underpay your babysitter you are undervaluing the care of your children. Not that you don’t love them, but that where you spend your money demonstrates what your priorities are. My kids develop a relationship with the babysitter and she kind of becomes a part of the family. That’s just my opinion. I applaud you for being honest and bringing this topic up! And if you have plenty of happy babysitters to choose from, obviously you’re doing a lot of things right! I think we should offer something to family members. Their time is valuable too and not offering to pay devalues them and their precious time. We know they love your kids and want to see them, so sometimes this is a treat for them and they genuinely do not need payment, but at least ask. It’s the respectful thing to do. The fact that you would leave a 12 year old with 4 young children is beyond alarming. What happens if a child gets severely hurt? What if your child starts running a fever? What if they’re choking? A 12 year old cannot drive your children in an emergency. They cannot give proper medicine or probably even use a thermometer. They cannot perform CPR. A 12 year old should never be given the responsibility of watching 4 young children. God forbid something terrible ever happened so you can save a few bucks. Great point! In our area of the country having a 12 year old babysitter is actually very common. But that’s exactly why I usually make sure the kids are already asleep (or in bed) before coming over, we always have a neighbor on-hand in case of an emergency, and we never go too far or stay out too long. I disagree. I started at 11, but watched kids randomly since 8. I am 17 and work as a part-time 30 hours a week nanny for a family. I clean up there house, make meals, and take the kids to their activities. I would never feel prepared to do that if I wasn’t given a chance as a young teen. By the time I was 13 I was a part time sitter and taught a neighborhood preschool. I also watched three kids regularly when I was 11/12. I also full time watched my nephew since he was a newborn when I was 12, while his mom and mine when pack to finish there degrees( my mom was In the military).There were emergencies, but never anything serious. I never had a formal class, but at that age I knew what to do if there was an emergency, I knew how to comfort kids, and I knew that if it was serious to call 911 or my mom. I always watched the kids well and the kids never had major accidents. I never have had a family dislike me. I got two offers to stay behind when my family moved to be a live in nanny when I had just turned 14. I think we don’t give young kids credit anymore. We assume they are dumb and don’t know how to handle life. A 12 year old is certainly old enough to use a thermometer. All you do is put it in the ear usually. And with cell phones these days you can know instantly if there has been an accident and respond right away. I think in today’s society we expect too little of our youth. You can be quite mature and responsible at 12. I personally know some people who are quite immature well over the age of twelve too. Not all 12 yr olds are created equal. Of course find someone you trust and can handle things. I babysat lots at 12 and now I have 6 kids and use girls this age too. I think it’s great when you have family around to help sometimes, but I think a lot of family members get abused by this. I think it’s unfair to ask grandma to watch your kids all the time because you know she will and won’t charge. Same with siblings, cousins, etc. if you would pay a sitter for the same job I think it’s fair to offer to pay family too. Especially if you use them frequently. Also I feel like there is more and more people who seem paranoid to leave their kids with sitters. I’m not sure what the fear is all about. But that is a tangent for another time I guess. I 100% agree with this all. 3 other moms and I do what your friends do as a couple. Every Monday one of us takes all the kids from 9-1 while the others Moms run errands, cleans, or even just rest, but we all seem to run around like crazy women since we are kid free! So 3 Mondays a month we have 4 hours to do whatever we need totally free. Then 1 Monday a month its our turn to do the babysitting. There are 7 kids 6 and under and it’s totally worth it!! The kids have a blast together and totally look forward to play date Monday! This post deserves a slow hand clap. You totally summed up my thoughts on babysitting. I have four kids, have never offered less than $10 hour, never required any cooking, heavy cleaning, nor chauffeuring my kids to or from anywhere. Yet, I have problem finding decent babysitters. It’s totally out of control and too many girls are expecting primo pay to simply put the kids to bed and house sit while watching tv and texting on the phone. Thank you for telling it like it is. My 18 yo daughter has been babysitting for several years (as well as growing up with 4 younger siblings and working in several daycare situations ), and STILL has a tough time with the “what do you charge” question. It is AWESOME when a potential “client” will be up front about how much they are willing to pay or can afford. She actually gets paid the most from a family that told her right from the beginning how much they pay – at least $2 an hour more than she was currently charging! There are families she works for at a lower price-per-hour, and is very happy to because she loves the children/family. 12 years old is certainly old enough to babysit. I don’t mean to judge you, but certainly if you’ve raised a responsible 12 year old you would know how much they can do (I haven’t, but I was one). I knew how to do CPR and re-certified every year from age 10 on. I also knew basic first aid from burns to cuts etc. and actually used my skills on a choking baby and other injuries. I know that I wasn’t alone, because there were several 12 year olds in my church group who also took it seriously. And we made great money. Much more than we thought we deserved. I respect what you think about 12 being too young, but I have a different experience, and think htere is much you can teach a 12 yr. old to do. This is offensive. As someone who has worked as an Au Pair and a nanny for nearly five years, plus years of baby sitting, working in a children’s charity and have a degree in psychology; I earn $23 an hour on a part time basis while I continue to study. $10 an hour for a qualified experience nanny?! For four children?! Whattt?! I am currently still a nanny for a beautiful family and I perform many duties which are considered outside of ‘childcare’ and would be less than impressed if someone thought that $10/hr was an honourable offer. I believe that when I was about 13 years old I would babysit my neighbours children for $8-10/hr. I live and work in Australia and have also worked in the U.S and I cannot believe the minimum wage standards in the U.S. Regardless of cost of living prices, the U.S dollar and AUD are comparable so the wages you have suggested would make affording everyday expenses very difficult indeed. Yes!! If someone offered me $2/hr I would laugh in their face. $2/hr is offensive, it’s not even minimum wage. I can’t imagine watching FOUR kids for 5 hours and coming away with a $10 bill. WOWOW. No, it would be more if they had all 4 kids. Realistically if it was someone capable of watching all 4 of my kids (including the baby) then it would be more $12/hr. But if they were asleep it would be at least $6-8/hr depending on their age. Thanks for stopping by and reading! When our oldest, he’s 14, babysits for us we give him $5 an hour. We only leave the other two with him if the youngest, 4 years old, is asleep for the night. He rarely wants to babysit though. We are looking for a regular babysitter now. Our previous regular babysitter graduated college last May and moved away. She started working for us the summer before her Freshman year of college, we paid her $10/hr for the 2 children we had at the time. Over the next 3 years we gave her a raises until she was up to $20/hr for the 3 children. I know that many people aren’t willing to pay this much for babysitting. However, for us it was worth it to have a high quality babysitter. It must depend on where you live. I live in Boston and have been a nanny since 2006. You would never find a babysitter here for that kind of money. Most nannies & babysitters charge a minimum of $15/hr and that’s just for one kid. I live in New Zealand and the legal age to babysit here is 14 years old; which I have been doing now for 7 years. I babysit, nanny and have worked in a day care centre. I have my full drivers licence and a children’s first aid certificate/CPR cert. For babysitting, I charge $18 an hour until midnight to which is then becomes $20p/h. Anything more than 6 hours I consider ‘Nanning’ as there would be cooking involved and usually, I would need to take the kids out so they don’t start trying to kill each other!! And with that I charge $25 per hour. Parent’s don’t expect me to clean for them, or cook a fabulous dinner but I always make sure the house is in a better condition to which they left it in; whether that is folding the washing, whipping the vacuum around, tidying the dishwasher. Baby sitting is a tough one! But I learned a lot from this!